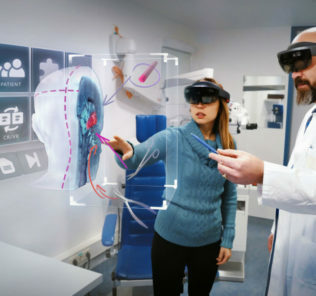 VR is becoming a reality for healthcare simulation more so every week, and so today we are going to share a few new virtual reality technologies that will have an impact to our field in the very near future. 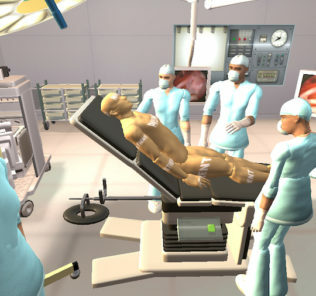 From haptics devices that let you ‘feel’ your virtual environment to real time animated human AI and first-person experiences of patient lives, these new developments are whats in store for all of us in medical simulation in the years to come. Is your simulation center using VR yet? It should be! Considered by some to be the future of VR engagement, Magic Leap provides a unique hardware application for Virtual Reality with MICA – an AI assistant with realism you won’t believe. Announced two weeks ago at Leap Con, the audience was taken aback by the reality of the simulated human they saw before them. When I noticed how attentive she was, I moved my head forward and looked in her eyes. She did the same and looked at me. I moved my head back and she moved her head back too. She was mimicking some of the movements that she saw me make. She didn’t talk, but that is coming in the future. On stage today at the Magic Leap L.E.A.P. event, Andrew Rabinovich, head of AI at Magic Leap, and John Monos, head of human-centered AI, talked about how they see digital humans and AI-based virtual avatars becoming real in the coming years on the Magic Leap platform. These avatars will be like fully embodied Amazon Alexa smart speakers. When you wonder what the song was that you liked so much at the Pink Floyd concert last year, the virtual human, dubbed Aya in Magic Leap’s stage talk, will answer that it was “Another Brick in the Wall.” Aya will get to know you and your emotions. If your friend Erika comes over, Aya will detect that you are happy when you talk with Erika, and it will store that in her AI memory, Rabinovich said. About the Magic Leap One Headset: Far more than a headset, Lightwear is a portal into worlds within our world. Its cameras, sensors, speakers and optical relay work together with the superpowered processor in the Lightpack to provide unique input to your visual system for unparalleled experiences. Retinas are the canvas, light is the medium, Magic Leap One is the brush. Superpowered and Lightpack, they have squeezed Magic Leap One’s awesome processing power into a small and portable Lightpack that clips right onto your pocket. Inside this engine is an integrated GPU and CPU that generates high-fidelity, gaming-quality graphics to create next-level experiences. And not being wired to a desktop means you can dodge the jellyfish after you’ve made your kitchen into a coral reef. Imagine putting on glasses and being in front of any simulated patient imaginable — that responds to you in real time. Blending cameras, motion sensor tracking, augmented reality, and amazing graphics output — Magic Leap continues to inspire developers from around the world to push new boundaries in virtual engagement. The new Magic Leap One is really only available for developers at this time as the cost is too high for general consumers, but that will change when the demand increases, and the software it there to start backing it up. 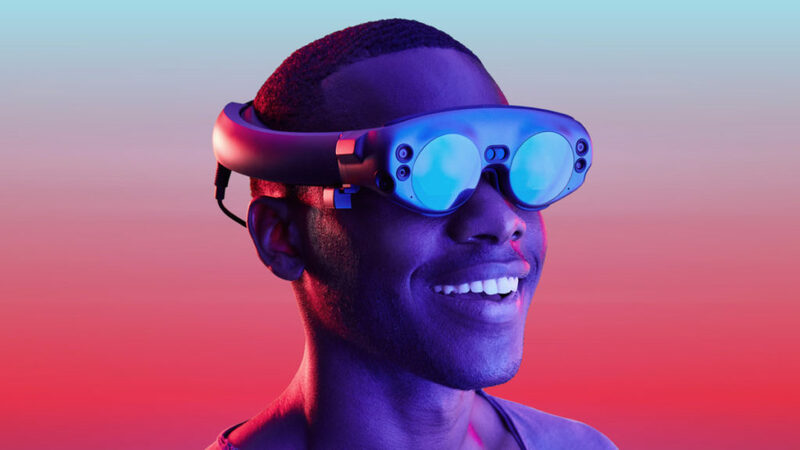 Learn more on Magic Leap’s website. EurekaAlert news recently covered how a “Stanford-developed virtual reality experience, called “Becoming Homeless,” is helping expand research on how this new immersive technology affects people’s level of empathy.” According to new Stanford research, people who saw in virtual reality, also known as VR, what it would be like to lose their jobs and homes developed longer-lasting compassion toward the homeless compared to those who explored other media versions of the VR scenario, like text. These findings are set to publish Oct. 17 in PLOS ONE. “Experiences are what define us as humans, so it’s not surprising that an intense experience in VR is more impactful than imagining something,” said Jeremy Bailenson, a professor of communication and a co-author of the paper. “What’s special about this research is that it gives us longitudinal evidence that VR changes attitudes and behaviors of people in a positive way,” Bailenson said. What patient experience curriculum do you think would also be a good fit for healthcare learners? Called Dextres, the glove comes in at less than 8 grams per finger and allows for haptic feedback in “unparalleled” freedom of movement when touching objects in the virtual world. The Dextres glove improves on current VR gloves by removing a bulky exoskeleton, pumps, and thick cables. It is a step in the right direction and researchers are looking to scale up the glove and bring it to other parts of the body using conductive fabric. Though just a concept for now, the technology definitely looks promising for gamers and the augmented reality field. Being able to feel the surgical tool in your hand while still performing with full range of motion will further develop sensory-based learning for surgeons, or any other healthcare provider for that matter. For all the Latest VR in Simulation News, Subscribe to Our Free Newsletter!